More New Coupons – $8/1 Abreva, $1.50/2 DenTek + LOTS of Sonicare printable coupons! More New Coupons – Advil, Thermacare and Abreva! New Personal Care Coupons – Speed Stick, Colgate, Palmer’s, Contact Solution + More! 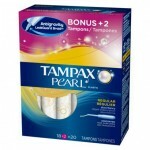 More New Coupons – Kellogg’s, Luden’s, Tampax, Abreva + LOTS MORE!